TAB’s high-density mobile systems help you: store more files in less space, improve file access and save money on real estate costs. 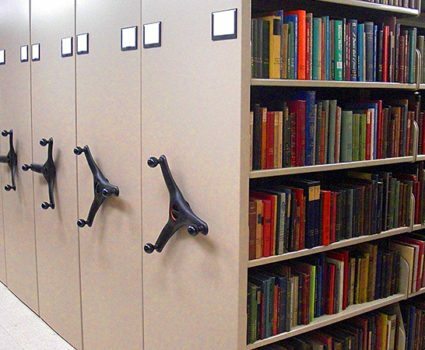 Mobile shelving offers the highest possible storage density for files and other media. TAB rolling systems maximize space utilization by eliminating aisles and compacting several storage cabinets or shelving systems into a much smaller amount of space. 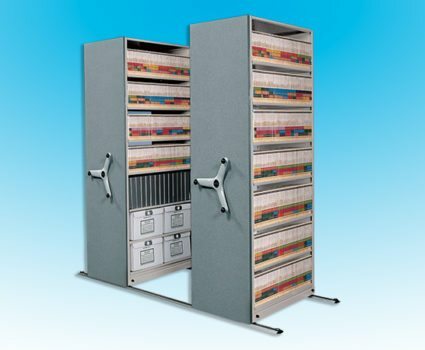 Our mobile systems are available in either manual, mechanical-assist or electrically operated styles, depending on the type and weight of media you need to store. 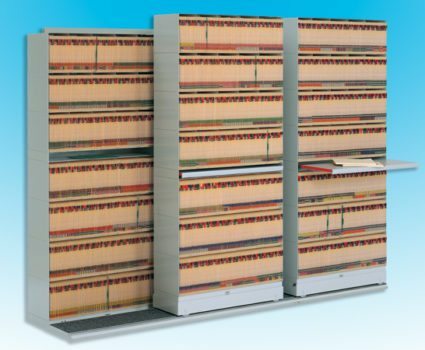 TAB-TRAC is the ideal solution when you need to efficiently and securely store a high volume of information. TAB-TRAC Ultra Secure includes added features that allow you to protect critical information against frontal and overhead access. 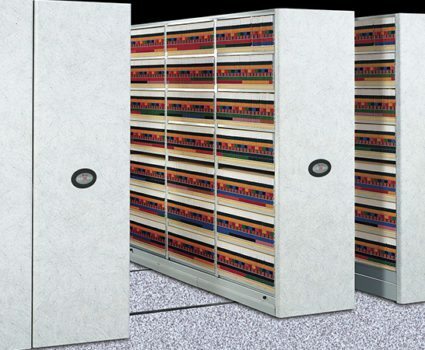 The anchorless track system of EXPRESS-TRAC II makes it easier to install a high-density mobile storage solution. Strong, powerful and secure, POWER-TRAC II is ideal for storing a high volume of heavy media, with frequent user access. 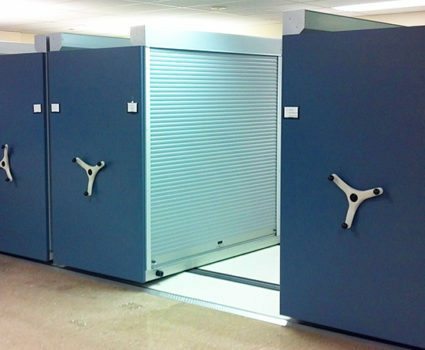 Our SIDE-TRAC lateral mobile storage system allows you to fit more storage cabinets into your existing space. 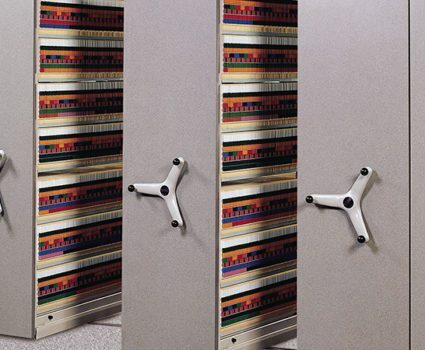 The Trax Mobile system is the ideal lateral mobile solution for high-density, decentralized file areas. 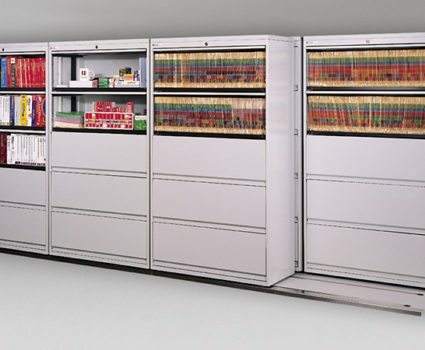 For lighter-duty applications, our Modular Mobile shelving system is a cost-effective way to store more files in less space. 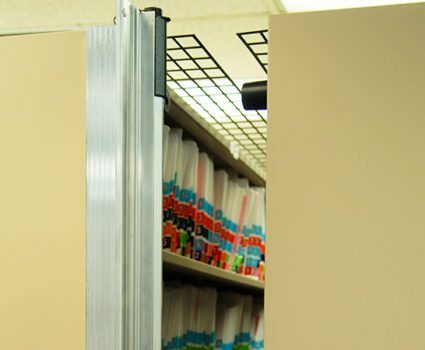 Rollok Rolling Doors make any existing filing system completely secure and compliant. Running out of room to store files? Get our mobile storage buyer’s guide.